The Metro Blue Line could soon be no more. The rail line not physically going anywhere—but the Los Angeles County Metropolitan Transportation Authority may consider renaming its train lines as the agency runs out of color options. Currently Metro operates eight rail and bus rapid transit lines but plans to expand to 16 total lines, thanks to recent funding through Measure M, a countywide tax passed in 2016. With Red, Blue, Green and Gold already spoken for, Metro staff said it could force the agency to begin naming routes after shades of colors like Lavender, Lime or Olive, which could lead to confusion. The potential naming change was originally reported by the Los Angeles Times. In an effort to clarify and create more consistency, the agency is considering moving to a different model that could pair colors with numbers or letters not unlike the New York City or Paris subway systems. The issue will be taken up by Metro’s executive management committee Sept. 20, and expects to forward a proposal to the full Metro Board of Directors possibly as early as December. The move is precipitated by the looming 2028 Olympics and a number of large scale projects being undertaken by Metro. The Blue Line will be partially closed for the majority of 2019, with the Long Beach section closing in January for four months. 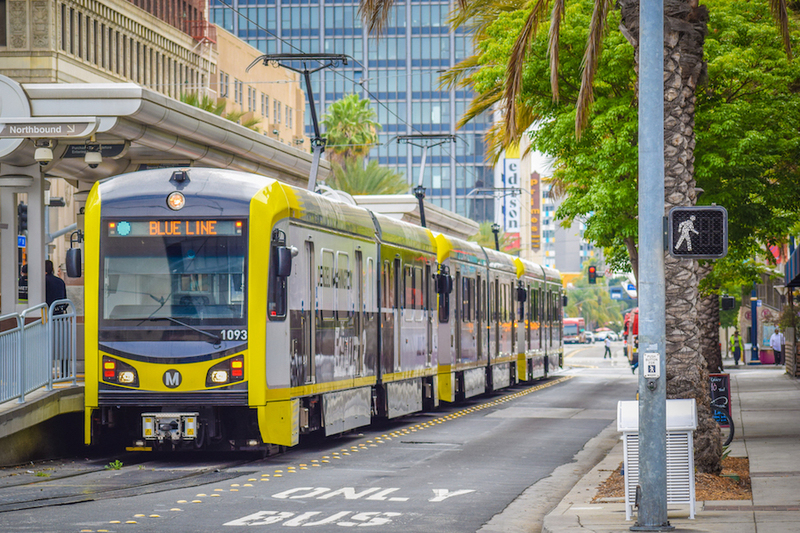 A new regional connector will also link the Blue Line with the Gold Line to provide a one train ride from Long Beach to Azusa and changes to the Green Line are in the works to provide access to Los Angeles International Airport. In a report set to be given Thursday morning, Metro staff concluded that the timing is right for a naming overhaul. In focus groups, respondents said there was a lack of consistency within the Metro system—all lines are named after colors except the Expo Line, which some said they thought stood for East or express—and that colors could create issues for colorblind passengers. However, before the Blue Line becomes The “1” or The “A” line, additional outreach is expected. Coordinating a naming change in conjunction with the completion of projects would eliminate additional costs if the board were to move forward with a renaming campaign after the current and future projects are completed, officials said. Cost estimates to change the line names as projects are completed are expected to be presented to the board in December.